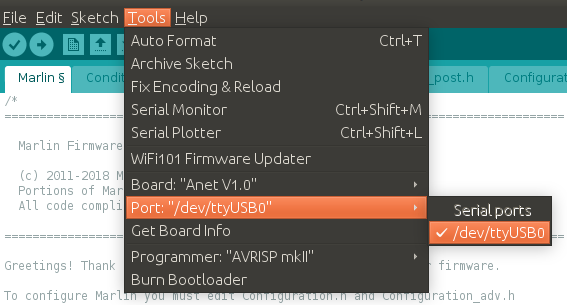 The firmware of the Anet A8 3D printer is based on Marlin. This is an outdated version though. One of the most important features it's missing, is a security check on the heating elements. In my post about Anet A8 upgrades you can read what can happen to the heat bed connector. With this upgrade the Anet A8 will be safer to use. It will stop heating the heat bed and extruder element after it reaches a certain temperature. Also if you want to use auto-levelling of the heat bed using a sensor you need to upgrade to Marlin. This also requires some small changes to the Marlin code which will not be discussed here. 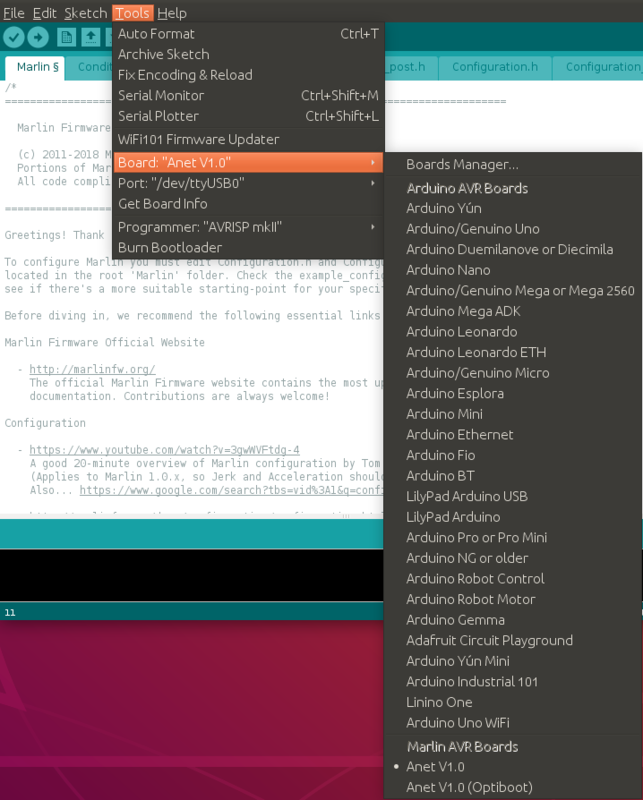 Instructions and screenshots below are from Ubuntu Linux. 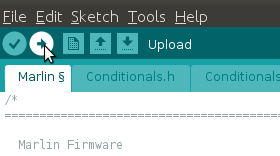 Depending on your operating system the location of the Arduino files will be slightly different. 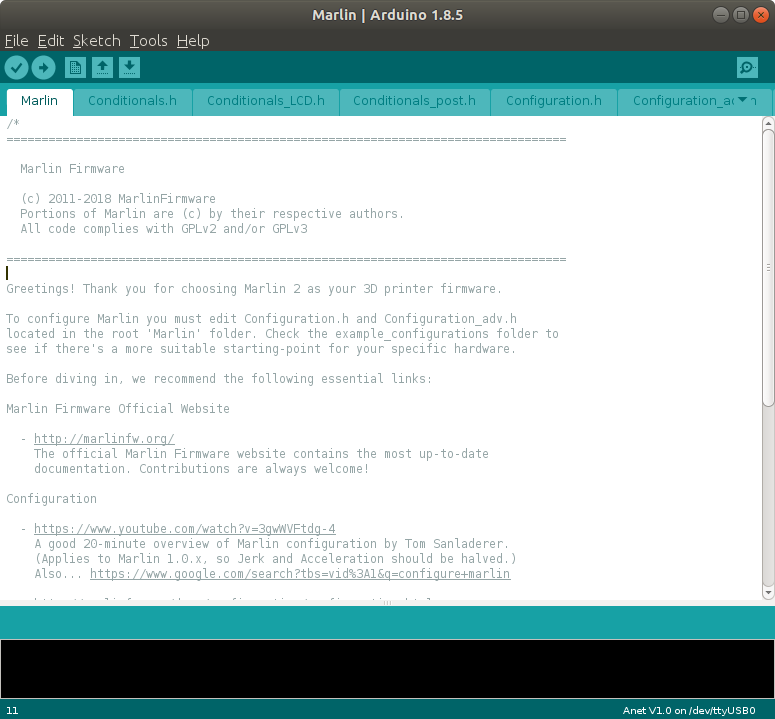 The board definition files enable the Arduino IDE to compile firmware (in this case Marlin) for Anet 3D printers. Copy the anet folder to the Aruindo\hardware folder. Create the hardware folder if it doesn't exist. Last time I made a simple Android app using the Spotify SDK. Now, it's time to convert this to Kotlin code. Kotlin is a statically-typed programming language that runs on the Java Virtual Machine.